SpectraLift Non-Surgical Facelift - A Facelift Without Surgery! Transform your skin holistically from the inside out. 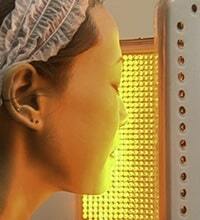 Our spectrum of lasers work synergistically to give you the luminous skin you’re after. Lifted, toned, smooth, clear and vibrantly healthy. A natural facelift without surgery! Watch the video : What is the SpectraLift™ non-surgical facelift? AMA Regenerative Medicine & Skincare’s signature laser protocol, the SpectraLift™ non-surgical facelift is based on our unique philosophy that if you give the skin exactly what it needs to naturally regenerate itself, it will! 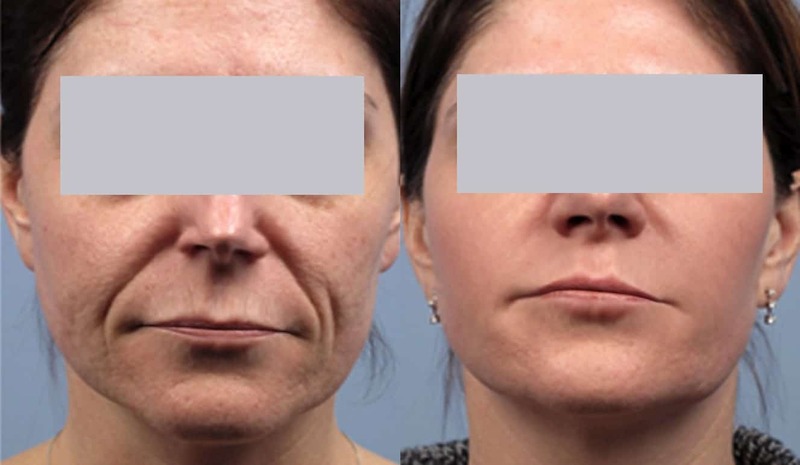 This multiple-modality protocol ensures the kind of dramatic and beautifully natural results you’re after, without risking the health of your skin with a surgical facelift procedure. We develop all our minimally invasive laser treatments from a place of synergistic healing and customize them to address every skin type. The SpectraLift™ non-surgical facelift utilizes an amazing “spectrum” of lasers that work in concert to heal vascular and pigmented lesions, deteriorated collagen deep in the dermis, sagging skin, discolorations, wrinkles, roughness and scarring. Sun damage, age spots, sunspots, liver spots and melasma are individually (each spot) targeted during this phase of the SpectraLift™ non-surgical facelift treatment. Then the overall base coloration of your face is gently stimulated (‘color blending’), causing the turn-over in baseline melanin (old melanin is replaced with new), evening out coloration. 3-4 weeks are required to see results, usually eliminating the need for foundation. During this phase of the SpectraLift™ non-surgical facelift broken capillaries, spider veins, micro-vasculature (generalized redness), Rosacea, Cherry-Angiomas and any vascular birthmarks are individually targeted. A visible difference in the appearance and amount of broken capillaries will be noticible immediately after the first treatment. This phase of the SpectraLift™ non-surgical facelift targets deteriorated collagen deep in the dermis (the cause of deep wrinkles, sagging, and enlarged pores) to accelerate its removal by body’s own natural processes. Fibroblast cells are also targeted throughout the dermis, stimulating production of amplified quantities of new collagen (the kind you had when you were young) that is healthy, firm, and toned. This treatment removes wrinkles from the inside out. Wrinkles will actually lighten, lift, and disappear, and pores will shrink. With each successive treatment, the effects on fibroblasts are cumulative, resulting in progressively greater amounts of collagen production lasting longer periods of time. Week by week, for nearly a year after a SpectraLift™ non-surgical facelift, you’ll look progressively better as your skin becomes more porcelain-like. For patients whose faces and/or necks have excessive laxity (sagging), such as drooping under the jaw line (jowls) or ‘marionette lines’ at the corners of the mouth, a more intense collagen stimulation and remodeling procedure is administered during this phase of SpectraLift™ non-surgical facelift. The focus of this procedure is tightening and lifting the skin back into its natural, more youthful profile. See how this technology works to firm and tighten your own collagen. 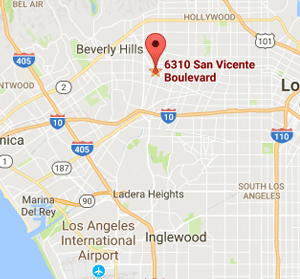 To enhance your comfort, stronger prescribed pain medication is often administered (please arrange for a driver to and from the clinic). The results of this procedure can be dramatic even after the first treatment, and successive treatments will typically result in tremendous improvement towards the transformed youthful profile you’re seeking. This phase of the SpectraLift™ non-surgical facelift removes, in an amazingly precise way, minuscule amounts (measured in microns!) of the dead layer of epidermis (stratum corneum), along with its imperfections, discolorations, fine wrinkles, and roughness. This procedure also stimulates a faster cell cycle (3-5 days, like when you were a kid) in which the removed epidermal cells are replaced with younger, healthier cells. This is an exciting process that you will experience as a ‘flakey dry peel’ 3-5 days after the procedure, as the remaining older epidermal cells of your skin undergo a complete exfoliation and replacement. This is our Smooth Radiance™ treatment, through which your skin will generate a brand new epidermis, resulting in smooth, radiant skin. Fractional lasers, utilizing a laser beam ‘fractioned’ into thousands of tiny columns a few microns in diameter, are the newest form of delivering laser energy to the skin. Because of the specialized lenses used in this laser and the exquisitely engineered optics driving the device, each individual column of energy is so narrow, that the energetic intensity in the micro-column can be much higher than a standard- sized conventional laser beam. 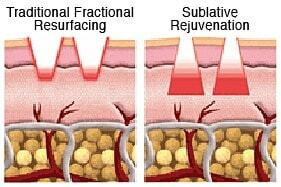 Watch the video : What is fractional Co2 laser resurfacing? This in turn allows much deeper penetration than standard lasers, as well as extraordinary precision. It regenerates collagen at the very deepest layers. This phase of the SpectraLift™ non-surgical facelift is especially powerful in removing wrinkles and any type of pitting and scarring. New breakthrough Electro Magnetic technology in the RF range achieves unique Sublative Dermal Regeneration that is very different than standard fractional methods for skin resurfacing in the range of typical laser frequencies of the Electro Magnetic Spectrum. See how this technology works to stimulate your own collagen growth. Sublative Dermal Regeneration is not laser or light−based. It utilizes Radio Frequencies (RF), with a fractionated bipolar RF technology. This innovative technology effectively places energy into the deep collagen layers in the dermis where it produces significant and precise impact with minimal epidermal disruption. The new technology delivers bipolar radio frequency energy via a matrix of needle-like electrodes that penetrate to a variable and specific depth in the dermis. The RF energy generates fractional deep dermal absorption of energy in the deepest layers of collagen, stimulating the dermis to generate new collagen in a geometric pattern that causes both contraction of existing collagen and generation of new collagen. This tightens, lifts, tones and strengthens the skin. In this phase of the SpectraLift™ non-surgical facelift, a proprietary amber LED light-energy drenches the cells of all skin layers with specially modulated frequencies that stimulate rapid healing, reverse cell damage and dramatically accelerate the production of collagen. Though the mechanism of action is very subtle and occurs on the sub-cellular level, the results have been scientifically proven to be dramatic. Overall levels of cellular ATP (the cell’s essential biochemical fuel) are remarkably increased, thereby dramatically increasing the cell’s energy and vitality . It’s like bathing your cells in life-giving light, engineered with the secret biological code that unlocks the cell’s own natural ability to function at maximal vitality. For severe cases of scarred or deeply wrinkled skin, this procedure is essential to a satisfying outcome. Because it’s a more intense procedure, sometimes additional prescribed pain medication and extra healing time is needed. 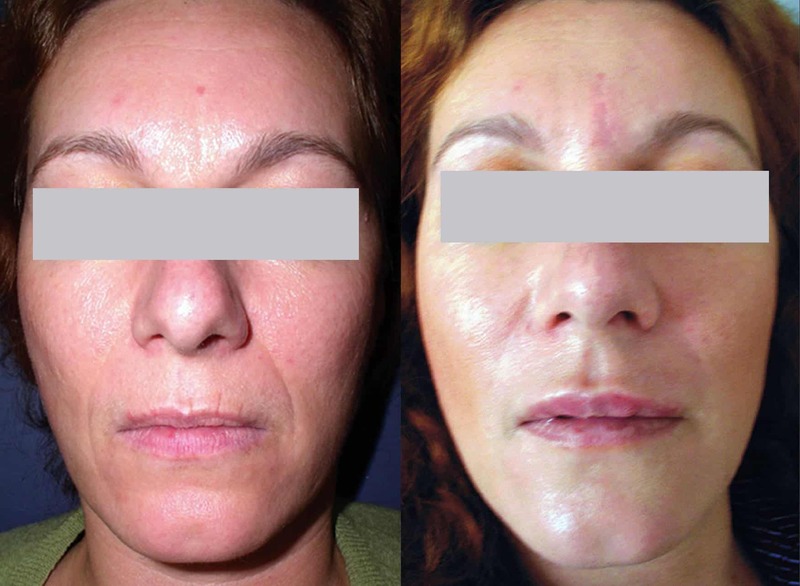 Learn more about the SpectraLift™ non-surgical facelift. Q. Who would be a candidate for this type of procedure? What does it treat? A. Anyone whose face isn’t looking like it did when they were 25 years old. So if you have sunspots or age-spots or rosacea or cystic acne or scars or sagging or wrinkling or any other things that we associate with not perfect skin, skin that’s physiologically not maintaining itself as it did when you were younger, then anyone in that condition can come in for a SpectraLift™ non-surgical facelift. Q. Are there lasers for black skin or is this procedure geared toward only lighter complexions? A. Our protocols are customized for every individual patient according to what their skin needs. Therefore, what ever kind of skin a patient may have, from albino to alabaster black, a protocol for your skin can be customized to achieve the best possible results. Q. Is this still a good procedure and does it do lifting for sagging jowls and neck or is there something else now to replace it? A. The SpectraLift™ non-surgical facelift is designed as a “multiple-modality” protocol, which means that we combine a number of different technologies together for a superior physiological response. 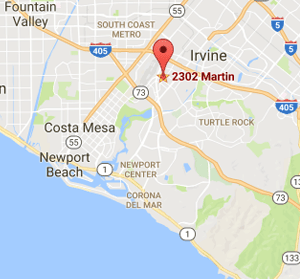 Essentially, during the procedure we are simply stimulating your physiology to do what it used to do when you were 25 years old. Thus, for many weeks after the procedure, your skin will continue to rebuild itself, just at it did when you were 25 years old. Accordingly, as new technologies emerge into the medical market place, we buy the best and integrate them into the protocol. For instance, now in addition to our 20 other lasers, we have a Radio Frequency laser that is far and away the most effective device ever for tightening the skin of the neck! We call it the “Neck-tite” laser! Q. Can this be done on somebody with psoriasis? A. Yes, the SpectraLift™ non-surgical facelift is CUSTOMIZED for every patient. Thus what ever your skin condition is, there is a SpectraLift™ that is right for your skin. In regards to psoriasis, it is important to understand that the underlying condition that is causing the skin illness is an “inflammatory auto-immune” disease. If the psoriasis can be healed, your skins health and beauty will improve dramatically. To that end, a new branch of medicine called “Regenerative Medicine” may have the best possible solution for you in the form of “Stem Cell” therapy. At AMA Regenerative Medicine & Skincare, we offer the most advanced stem cell therapy in the world. Therefore, please feel free to come in to learn about both the SpectraLift™ and stem cell therapy. For keeping your skin strong and healthy on the inside, tight and beautiful on the outside, the SpectraLift™ Non-Surgical Facelift is by far the most physiologically-effective and cost-effective treatment anywhere… Bottom line, Great Results!